182 Queensland Bottle tree brachychiton rupestris 20-10-2007, originally uploaded by Jen 64. 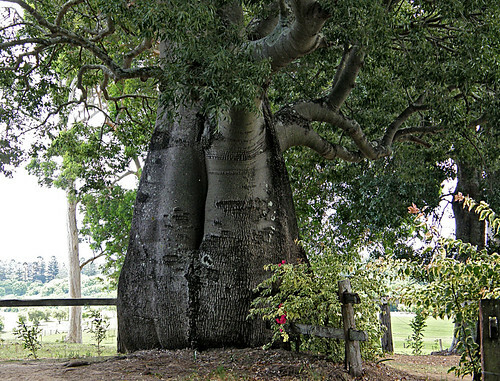 This is a great image of the Queensland Bottle tree (brachychiton rupestris). It does not take too much imagination to see why this tree is called the Bottle tree, even though this one has gotten so fat at the base that it has almost lost its "bottle shape".